Wireless multiplayer, better social engagement and eye-tracking technology is almost here. The first year of consumer virtual reality has been exciting, to be sure, but ask anybody in the industry, and they'll tell you that it's only the beginning. Engineers and developers are always chasing the next big thing in VR technology: wireless headsets, better walking simulation systems, eye-tracking and more. It's a long road to getting that better VR experience, but there's tons of room to grow -- and Vive's Virtual Reality Venture Capital Alliance is one group trying to help that happen. We stopped by the VRCA's fourth member meeting to see how the next generation of VR is coming along, and some of it is closer than you might think. Wireless VR, for instance, is already here -- TPCast's wireless HTC Vive adapter shipped earlier this year, untethering VR users from their PCs with without introducing any perceptible lag. Now the company is taking it to the next level by introducing an upgraded adapter designed specifically for multi-user applications. The TPCast "Business Edition" is designed to enable wireless, multiplayer virtual reality play. It's a small tweak to an already existing technology, but it opens up new possibilities, and gives more freedom to users collaborating in a VR environment to also interact with the physical world around them without worrying about tripping over each other's headset cords. Having less physical barriers in the way of the virtual environment makes in-person social interaction a little easier, but other members of the VRCA are focused on merging the social spaces of disparate digital worlds -- specifically, social network integration. Partnering with WeChat, one of China's most popular social platforms, ObEN is building an AI-driven virtual environment that allows VR users to seamlessly interact with WeChat users on mobile. Right now, that consists of creating a system that can make a realistic avatar from a selfie and using smart speech to text programs to make sure a user in a VR headset can respond to text conversations without picking up a keyboard. The company says it's also working on an app that will allow WeChat mobile users to control an avatar in the VR world without wearing an actual headset, significantly lowering the barrier to entry for VR social experiences. 7Invensun's aGlass eye-tracking upgrade kit was the most impressive VR add-on we saw at the meeting -- both as a potential means for improving social VR and as a basic, quality of life feature. 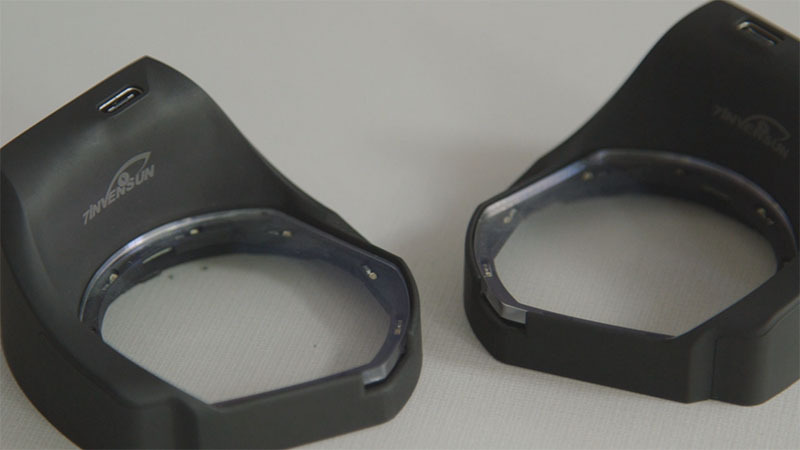 The aGlass kit consists of a pair of sensor rings that fit over the HTC Vive's lenses that, after some calibration, keep track of where the user is looking at all times. Compatible software can use the data to create more life-like avatars that can actually look other players in the eye, enabling more intimate social experiences. More importantly, the technology has the potential to lower the bar for VR-ready PC hardware by enabling foveated rendering -- a graphics technique that improves performance by only rendering the areas the user is actively looking at in high quality. In practice, this means that parts of a VR experience in the user's peripheral vision are given less processing power. 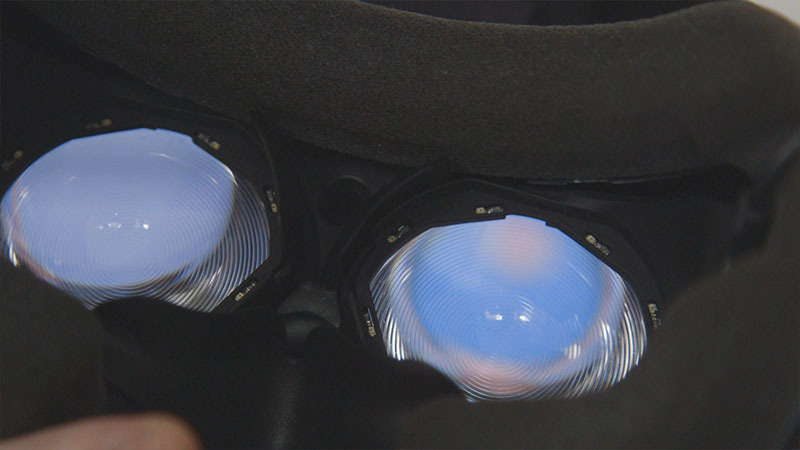 In a short demo shown to Engadget, the technology was able to improve framerates on a low-end machine from 45fps in VR to 90fps. Better still, because the trick exploits the flaws of human vision, the visual difference to the user is almost imperceptible. The technology on display at the VRVCA meeting is all still under development, but staff on hand told us most of it is due out sometime later this year as upgrades for existing HTC Vive users. Today, their applications and demos may be limited, but each piece of technology shined with potential. Unfortunately, Vive staff couldn't say if any of the showcased technology would find its way to an upgraded consumer headset in the near future.